Blockbuster reminds film enthusiasts that their new releases are out 28 days before competitors such as Netflix and Redbox in their latest television commercial “Raccoon”. A man is bitten by a raccoon in his garden and heads off to the hospital to have it disattached and get checked for rabies. Unfortunately he discovers there’s a 28 day wait at the emergency department. 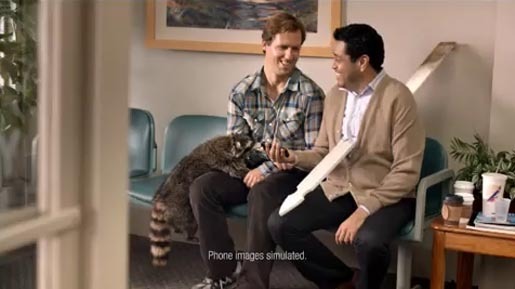 The Blockbuster Raccoon ad was developed at EURO RSCG Chicago, by executive creative director William Mericle, art director John Reams, copywriter Ecole Weinstein, agency producer Mariana Perin, executive producer Monica Wilkins. Filming was shot by director Matt Smukler at HELLO!, Los Angeles, with executive producer Carl Swan, head of production Alexandra Chamberlain, producer Gayleen Sharon, director of photography Tami Reiker and production designer Shepard Frankel. Editor was Matt Walsh at Whitehouse Post with post producer Dawn Guzowski.